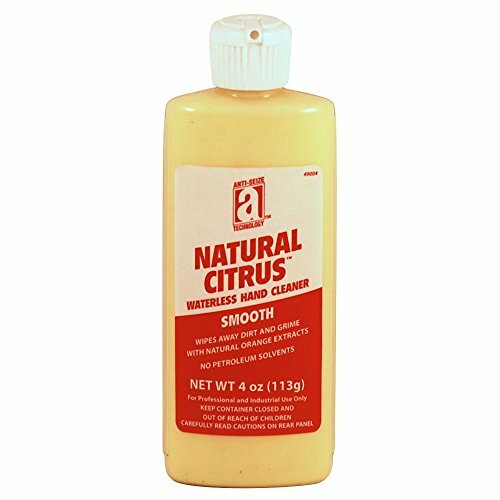 Natural Citrus smooth uses the power of all natural orange peel extracts to lift and remove the most stubborn dirt and grease. 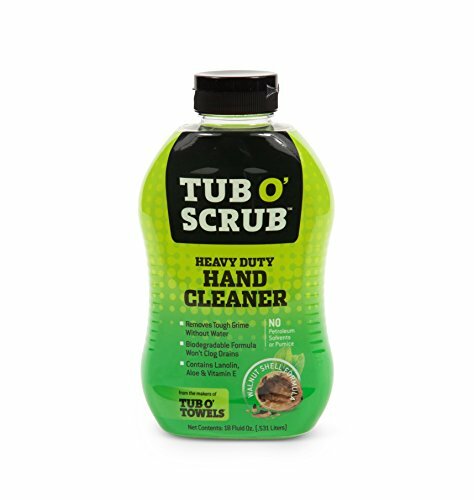 This premium formula contains special detergents designed for gentle yet effective cleaning of dirty hands when ordinary soaps will not work. It even cleans without using water. Natural Citrus is fortified with lanolin and other special emollients to prevent dryness and to keep hands soft and comfortable. This special formula works with or without water. amazing Hand cleaner was developed for professional mechanics to effectively remove REALLY tough hand stains from grease, oil and dirt while actually conditioning and restoring skin from damage caused by harsh automotive fluids. Works great around the house for cleaning hands after painting, staining or gardening--much gentler than toxic paint thinner. Caring for an active child means constantly being on the go and maintaining your child's healthy lifestyle. A big part of that is making sure to stick to good sound hygienic practices and that's why we've designed our waterless Foaming Hand Wash. Made entirely from plant oils and water, our foaming hand wash will remove dirt, debris, and many bacteria causing agents. It's waterless so no rinsing is necessary. 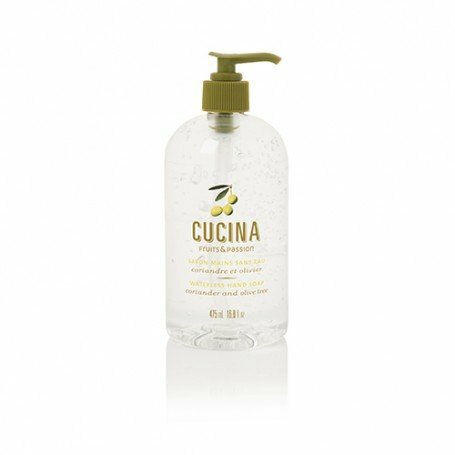 ◾Non-flammable ◾Non-reactive ◾Non-corrosive ◾Non-carcinogenic ◾Non-caustic ◾Biodegradable ◾Chlorine-Free ◾Non-Toxic Directions for Use Just a pump or two of our foaming hand wash will clean your child's hands of germs and bacteria causing agents. Apply hand wash and rub together until dry. The Best Hand Cleaner in the World. Period. Soap is soap, right? NO! We had one goal in mind when we developed Tough Nut: to provide a hard working hand cleaner for hard working people. Cheap soap has cheap ingredients. Take a look around and you will see that most soaps on the market are solvent based. Why? Well, because solvents are cheap. Solvents are for cleaning machines, not flesh. And PUMICE! No freaking way we put pumice in our hand cleaner. Do you know what pumice is? Porous volcanic rock formed when a froth of glassy lava solidifies rapidly. Really people? You want to clean your hands with glassy lava rocks? No wonder the cheap stuff tears your hands up. No micro-beads. No fragrances. Those cheap ingredients are bad for your skin and bad for the environment. We kept it simple with Tough Nut. Only the best natural ingredients, including heavy duty grease busting emollients and walnut shells. 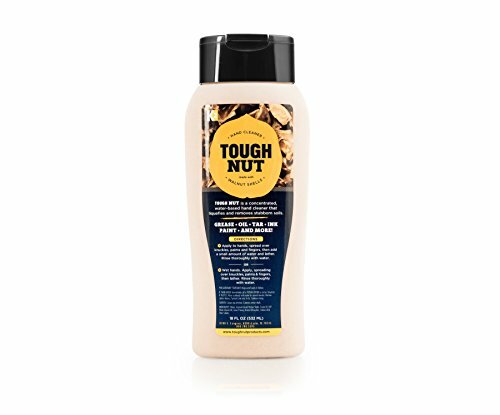 Give Tough Nut a try. You won't be disappointed. Easily Removes Paint, Oil, & GreaseWon't dry or crack hands like the orange hand cleaner. Get yours now! Purell healthy soap with natural moisturizers nourishes while cleaning to support your skin's natural ability to protect against dirt and germs. Bon vital, the #1 preferred brand of massage Therapists focusing on professional quality products, provides you with the proper accessories for your favorite massage product. Whether you prefer a crème, lotion, oil, or gel, these accessory products are designed to create your most convenient massage experience. Unique biodegradable formula removes grease, oil and tough grime without water. Walnut shell formula will NOT block drains or septic tank systems. Contains NO petroleum distillates that can be harmful to water and septic tanks and a skin irritant. Easily removed from hands. Lanolin, aloe Vera and vitamin E among other emollients that leave hands soft and moisturized after use. 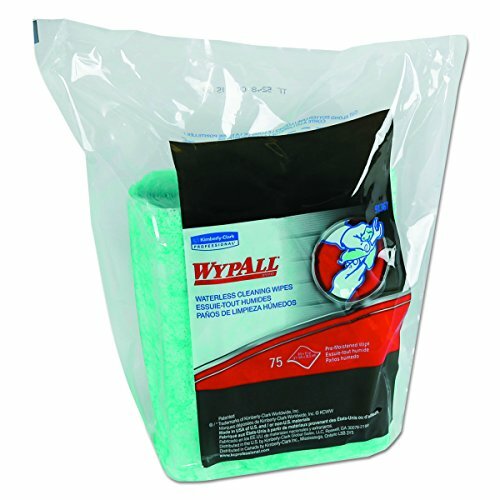 WypAll Waterless Industrial Cleaning Wipes are the ideal pre-saturated cleaner for on-the-go cleaning of hands, tools, parts and non-porous work surfaces. The alcohol-free natural citrus solvents cut through grease, grime and oil, while soothing ingredients moisturize the skin. The specially designed cleaning fabric incorporates a textured surface on one side to increase scrubbing action for more thorough cleaning (even a tool with grime caked on), while being thin and flexible enough to get into tight spaces. The other side features a smooth surface, which wipes away dirt from your hand or a work surface. The middle absorbent layer soaks up and holds the dirt. These wipers are truly a must-have for any dirty job and cleaning on the go. When effectiveness and value top your list of criteria, you can trust WypAll to deliver. The subtle and refreshing 7 oz. 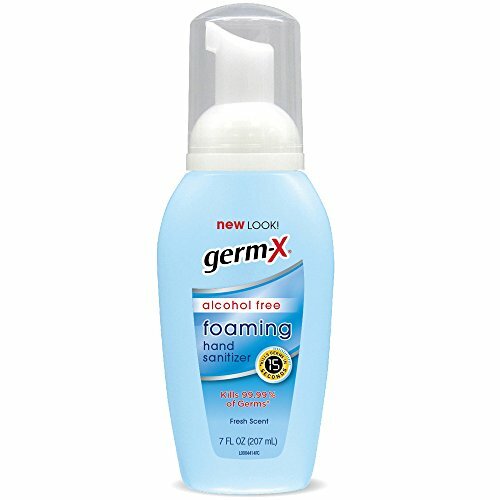 advanced protection foaming hand sanitizer goes the extra mile in protecting you from harmful germs. The convenient size makes it easily transportable so you can take it everywhere you go. Copyright © Wholesalion.com 2019 - The Best Prices On Waterless Hand Soap Online.